Welcome to the main section of ergonomic safety products. 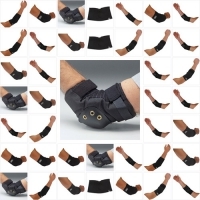 Texas America Safety Company offers back supports, wrist supports, knee pads, lifting gloves, and other safety products designed to save the wear and tear of the human body. We carry a full line of products and also some helpful safety information. Article - Why Wear Anti Vibration Gloves? 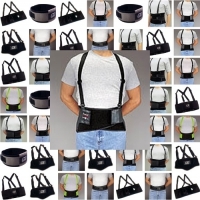 · Article - Why Wear Back Supports? · Article - Increase Safety Awareness · Article - Why Wear Wrist Braces? 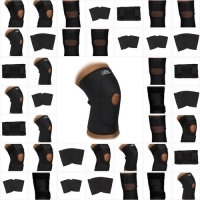 · Article - Why Wear Knee Pads? Not only does Texas America Safety Company offer a wide line of ergonomic safety products we also offer all sorts of ergonomic safety information. Check out our articles, safety tips, and information about back supports, wrist supports, knee pads, etc. Every year, companies are forced to spend millions of dollars on workers’ compensation claims. With the right safety products, many work-related injuries can be prevented. 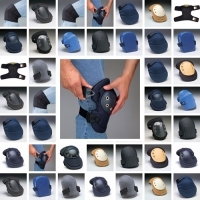 We carry a large selection of ergonomic safety products. Our ergonomic safety products can reduce the risk of injury caused by falls, trips, slips and strains. All workers have fragile wrists, knees and back because the human body isn’t made to withstand many types of injuries. It’s important to keep these body parts protected, and our selection of ergonomic safety products can accomplish this goal. These products are especially important for workers who work around power tools and heavy machinery. On this page, we have four different categories to choose from. If your work requires you to handle fierce vibrations, then consider some of our anti-vibration gloves. Since they’re designed with additional padding, they’ll protect your hands against repetitive vibration. 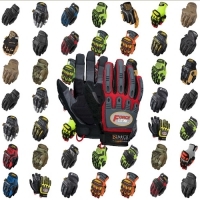 We stock many pairs of anti-vibration Mechanix gloves, and we also have gloves from other brands. Our inventory of ergonomic safety products even has industrial back supports, which are made to support your back and prevent injury. Jobs in the industrial industry are notorious for causing back pain, so if you work in this industry, you should really consider purchasing some of our industrial back supports. Many jobs require constant kneeling, and without proper protection, it won’t take long for your knees to get injured. Our industrial knee pads give your knees the durable cushioning that they need to stay strong and healthy. 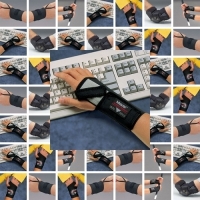 If your work requires constant use of your wrist, then you might want to consider some of our industrial wrist supports, which can prevent injuries and fatigue. Since we have such a wide range of ergonomic safety products, you shouldn’t have any trouble finding the products that will give you the most relief.